What if union leaders celebrated individual choices? Editor's note: This article originally appeared in The Hill on March 2, 2019. Labor leaders are enjoying a round of self-congratulatory press, claiming to have survived a Supreme Court ruling that these very leaders, just months earlier, were predicting could spell the end of the labor movement. Their celebrations ignore the country’s trend toward worker freedom. 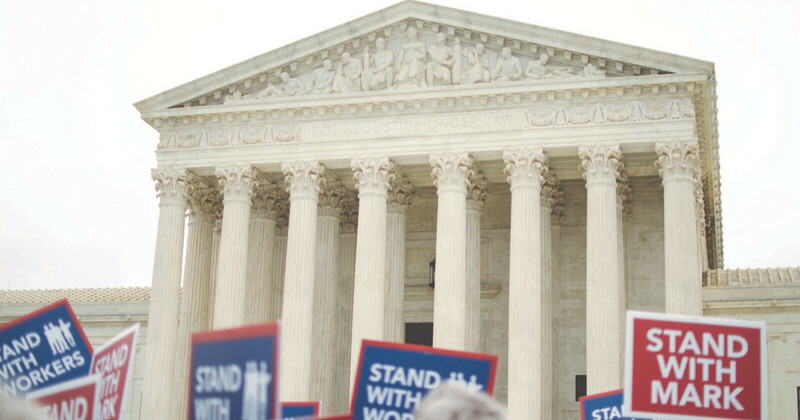 One year ago, on Feb. 26, 2018, the U.S. Supreme Court heard arguments in Janus v. AFSCME. The court issued its landmark ruling in June, deciding that public employees cannot be forced to pay a union as a condition of employment. Union officials expressed outrage. Lily Eskelsen García, president of the National Education Association (NEA), called it a “radical” ruling. Lee Saunders, president of American Federation of State, County Municipal Employees (AFSCME), called it an “unprecedented and nefarious political attack” on the labor movement. Now, not even a year removed from the ruling, union officials are downplaying its effects. Their effort to write the post-Janus narrative is premature for three reasons. First, union leaders know there are few verifiable numbers to cite. Many unions annually file reports that show membership numbers and revenue in detail. The three national unions — NEA, AFSCME and American Federation of Teachers (AFT) — represent most government employees. Only the NEA has filed a report since the Janus ruling. Second, unions in many Democratic-controlled states convinced state legislatures to enact laws intended to blunt the effects of the ruling. For example, the New Jersey Legislature said public employees could only resign from their union in a 10-day window on the anniversary date of their hire. Employees in New Jersey are challenging this measure in court. The number of members leaving the union likely will increase if courts invalidate these union-stabilization laws. Third, the experience in Michigan, a state that recently went right-to-work, demonstrates that changes in labor law may not affect employee behavior for several years. One year after the passage of right-to-work legislation, the Michigan Education Association’s president said only 1,500 members, about 1 percent, left the union. Now, however, the teachers union is down more than 32,000 members. Unionization is changing radically in this birthplace of the U.S. labor movement; in 15 years, Michigan droppedfrom the fourth-most unionized state to the tenth. Where is this headed? The nation’s trend is toward worker freedom in the courts, state legislatures and in the decisions of union members. Public employees are winning legal decisions against the coercive policies of their unions. 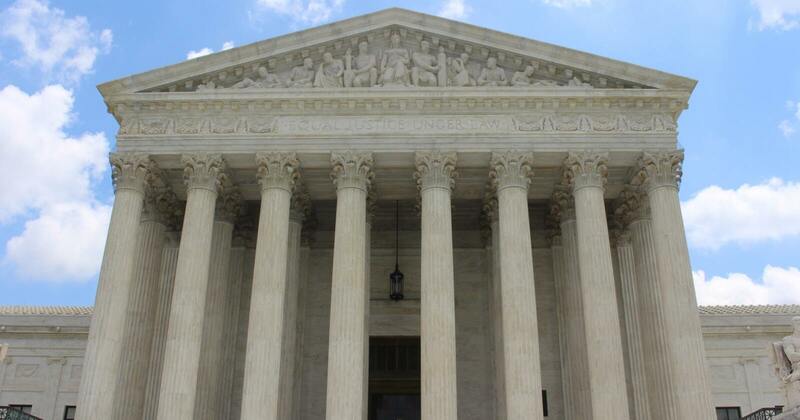 The Supreme Court has ruled for the individual over labor unions in cases such as Davenport v. Washington Education Association (2007), Knox v. Service Employees International Union (2012), Harris v. Quinn (2014) and most recently Janus. New cases challenge monopoly bargaining and forced dues in the airline industry. States are adopting laws that expand association rights. In 2011, Wisconsin Gov. Scott Walker signed Act 10, a landmark reform of public collective bargaining. Several states adopted right-to-work laws in quick succession: Indiana, Michigan, Wisconsin, West Virginia, Kentucky. Additional states — Florida, Iowa and Missouri — adopted workplace democracy laws that allow public employees to vote to keep or abandon their unions. Famed longshoreman organizer Harry Bridges was fond of saying, “Put your faith in the rank and file,” yet the rank and file have been walking away from their unions for decades. According to January numbers from the Bureau of Labor Statistics, only 10.5 percent of workers were members of a union in 2018, down from 10.7 percent in 2017. Recent efforts, such as in New Jersey, to circumvent Janus are likely to frustrate workers and cause them to abandon their unions in greater numbers. The trend in the American workforce is away from compulsion and collectivism. To this end, the Mackinac Center’s Workers for Opportunityinitiative seeks to promote government neutrality in labor relations. Workers should have the right to associate freely, but should not be forced to pay a union or accept the union’s contract terms as a condition of employment. The unions of tomorrow should look less like monopolies and more like professional associations that offer services the members can voluntarily select. Each worker should be fully empowered to exercise his or her choices about the job without a union interfering. Imagine what the labor movement could be if union leaders celebrated individual choices.